Ahmedabad is a land of a premiere institutes imparting quality education to the young brigades of the country, I say country here because people from all parts of the country come to Ahmedabad to gain education and attain the supremacy over the world. 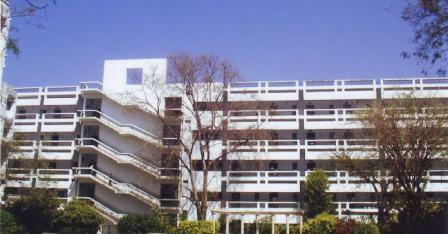 Among the list of prime institutions in the city, Gujarat Law Society is one of them. Gujarat Law Society was founded in 1927 by Shri Ganesh Mavlankar and Shri Kasturbhai Lalbhai, it has made a place for itself amongst the top educational institutes of the city. Gujarat Law Society was started as a place for imparting legal training. The Gujarat Law Society had the benefit of the vision of such pillars of modern Gujarat as Shri Chimanlal Setalvad, Shri H.V. Divetia, Shri Motilal Setalvad, Honorable Mr. Justice J.C.Shah, Honorable Mr. Justice P.N.Bhagwati, Shri K.R.Sant, I.M.Nanavati, Shri H.H.Bhagwati, Shri J.M.Thakore, and Shri Sudhir Nanavati. These prominent personalities have put the Gujarat Law Society on a different level by their charismatic and valuable approach. The financial department of the Society was strengthened by hefty donations by philanthropists such as Shri Charandas Haridas, Shri Mahendra Kanaiyalal, Shri I.M.Nanavati, Shri C.U.Shah, Shri Deepak Navanitlal and Dr.Pramod Mehta. Today, Gujarat Law Society proudly ranks among the best educational institutes in the country, with over 30,000 students pursuing courses in various disciplines. Gujarat Law Society has more than 35 institutes running under their name and they have been serving the society well with their excellence in education and achievement.